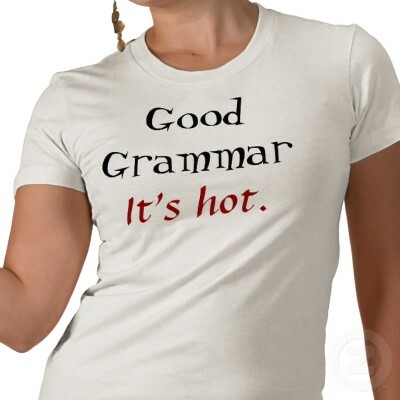 Although the younger generation seems to have forgotten how to spell correctly and their communication has morphed into some kind of bizarre Internet shorthand even when they are writing a note, a greeting card, or an essay, I think good grammar is important and attractive! As a VA, it is part of my job to notice grammar, spelling and the proper use of words. Common mistakes can do serious damage to an otherwise stellar reputation. Think about the image you project and proofread, do some research, look it up…or ask me! The verbs “assure”, “ensure” and “insure” all mean to “make certain or secure”. A person assures (makes promises to, convinces) other people. A person ensures (makes certain) that things occur or that events take place. A person insures (takes the necessary measures to protect) things against financial loss. Don’t INSURE your car for every nick and scratch. “In real life, I ASSURE you, there is no such thing as algebra.” (Frank Lebowitz). Federal drug regulators need more power and money to ENSURE the safety of the nation’s drug supply. I completely agree with you about grammar and spelling. I recently told a gentleman caller that I had lost interest in him due to his horrific use of language when texting. I mean if you are too lazy to type you and use u. Well! A girl has to have standards!